Maffig gös på 9.5 kg, 96 cm!! The newly awoken interest in new methods and techniques for perch fishing is going to set new standards during the coming year. Influences coming from bass fishing mainly in the United States grow bigger, we have so much to explore! We are already in the progress of reforming and adapting a lot of techniques into our own. Let me guide you through some of the rigs and techniques that have already gained some public attention in a very short period of time. 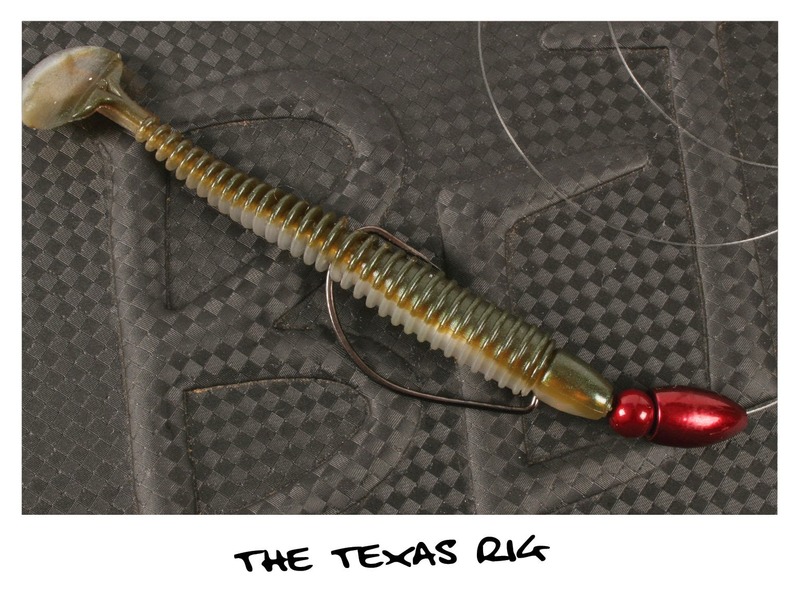 The Texas Rig, or T-rig, is in bass fishing one of the most commonly used rigs for presenting a softbait. It consists of a bullet shaped sinker (tungsten or lead) and an offset hook. These come in many variations of sizes. Tie it with a fluorocarbon leader and attach the leader to your mainline with a swivel or knot. The size of the sinker is mainly determined by the depth you want to fish - deeper water means heavier sinker. The size of the hook is determined by the size of your bait – bigger, bulkier baits need bigger sized hooks. The T-rig can be dragged and hopped through heavy cover like reeds, weeds, rocks, timber and steep ledges, but also swimmed and jigged over medium-structured to plain bottoms. Basically you can fish a T-rig everywhere, anytime. Rigging a softbait texas-style means it stays weedless, the hook point is protected from getting snagged. These are the main things that make the T-rig so versatile. Another big advantage of this rig is that the sinker is free running, so when the fish grab your bait it doesn’t feel the weight of the sinker. This means two things; the fish won’t throw your bait and you also get a very clear indication of the bite, win-win! By adding a glass bead or force bead between the sinker and the hook, you create a clicking sound every time you stop-start your retrieve or twitch your rod. This has proven to be very effective for perch fishing. You can fish all sorts of soft plastic baits with a Texas rig. For a swimming/jigging approach my two most used are Lunker City Swimmin Ribster and Swimfish. If the fish is inactive and lethargic or the water is cold a dragging/hopping presentation might be better. A Ribster worm can be a better choice in these situations.